and pulled in my arms to encircle his waist. pressed open the cover and fumbled in haste. he snuggled and sighed while I whispered the tale. and squeezed my I love yous no language can tell. 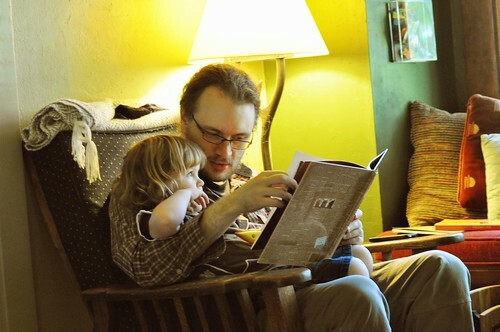 This entry was posted in Poetry and tagged book, child, cuddling, father, lap, quiet, reading. Bookmark the permalink. Enter your email to be notified when I post new poems, photos, stories, or book extras.